HR functions can access more data than ever before—about compensation, performance, background, demographics, skills, training, and more—at any time. Add in real-time behavioral data from professional networks, social media, and e-mail habits, and you have a lot of information to build a profile of the organization’s people, roles, and needs. 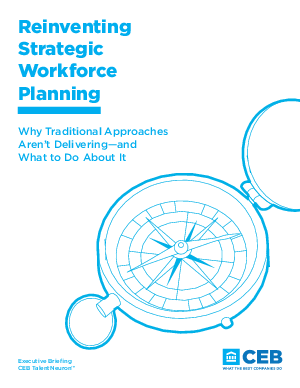 But even with all this data, strategic workforce planning is falling short.